Tom and I don't know anything about fishing in Orkney ... or anywhere, for that matter. 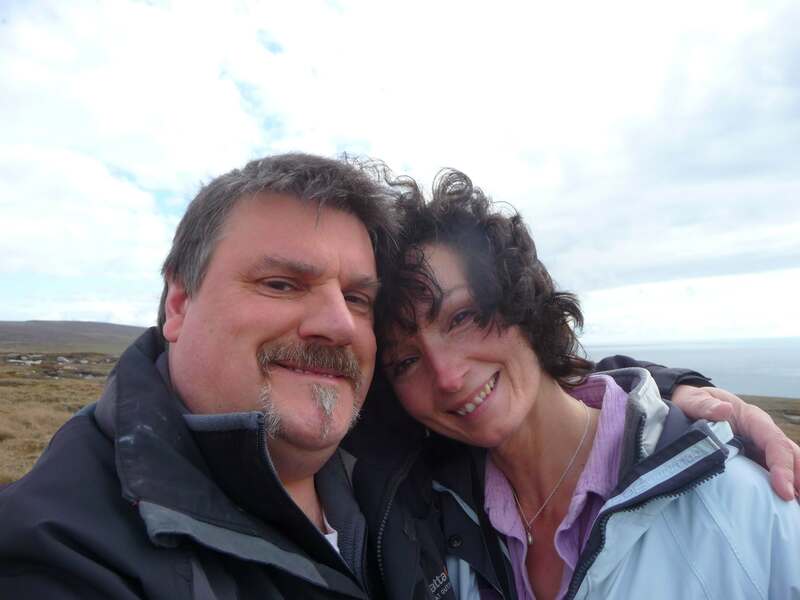 We're delighted to give this page over to our friend, Jon Paul Case, who's going to tell you his fishing in Orkney story. 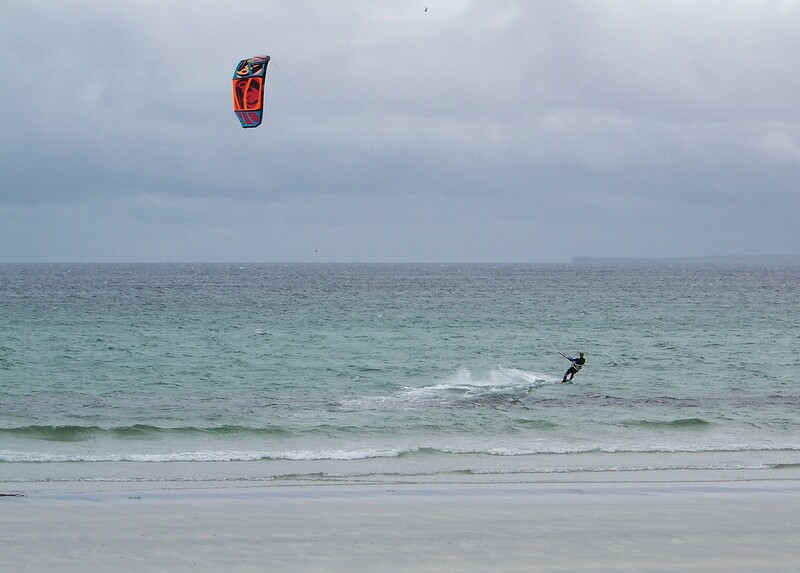 Read to the end if you want to hear about Orkney's sea monsters. I never thought too much about Orkney. If I thought about it at all, it was always “over there somewhere,” an archipelago of lonely rocks stuck in the sea north of real Scotland. But when I heard stories of the trout (or troot, as I learned to call them) – well, that was enough to make me more than interested, since I’m an avid fly fisherman whose obsession with the sport borders on the certifiable. So when my wife and I had the chance to visit Orkney in May 2017, we couldn’t give it a miss. Every few years, the American college where I work sends me and Miriam to teach a cohort of our students in London for a semester. When our friend Rhonda Muir learned we were in the UK, she invited us to come up north at semester’s end and spend a few days with her and Tom. We’d never been in Scotland before, let alone Orkney, which I now realise is unlike the rest of Scotland. I wasn’t sure what to expect. Clichés about Londoners turn out to be, with notable exceptions, largely true: frenzied, and on the whole, not hugely friendly. On our way to Stromness we spent some time in and around Inverness and Thurso, and enjoyed the cultural difference immediately: people were affable, curious, and helpful. 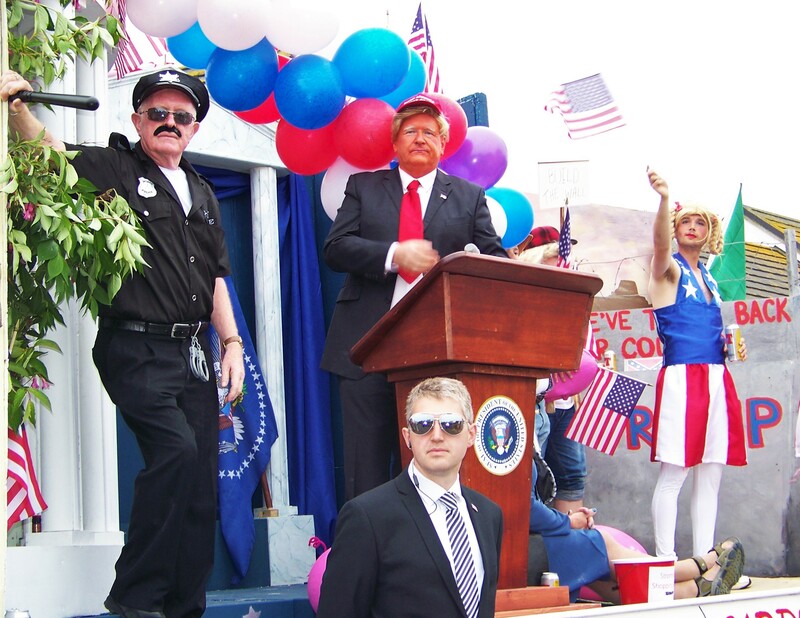 Being American has always had its liabilities when traveling abroad, of course: too often, our fellow countrymen come across as loud, rude, and know-it-all. Especially since the election of The Orange Peril, we’ve found it best to introduce ourselves as Canadians, try to be polite, and hope no one asks too many questions about curling or poutine. But there’s Scotland and then there’s Orkney, and there’s something about Orcadians that sets them apart from those unlucky enough to live in the south. Based on my limited experience, Orcadians are down-to-earth, generous, quick with a joke, and proud of their heritage. And, as in Oz, you’d better keep a sense of humor --especially about yourself-- or those around you will remind you that you’re just a pillock like everyone else. 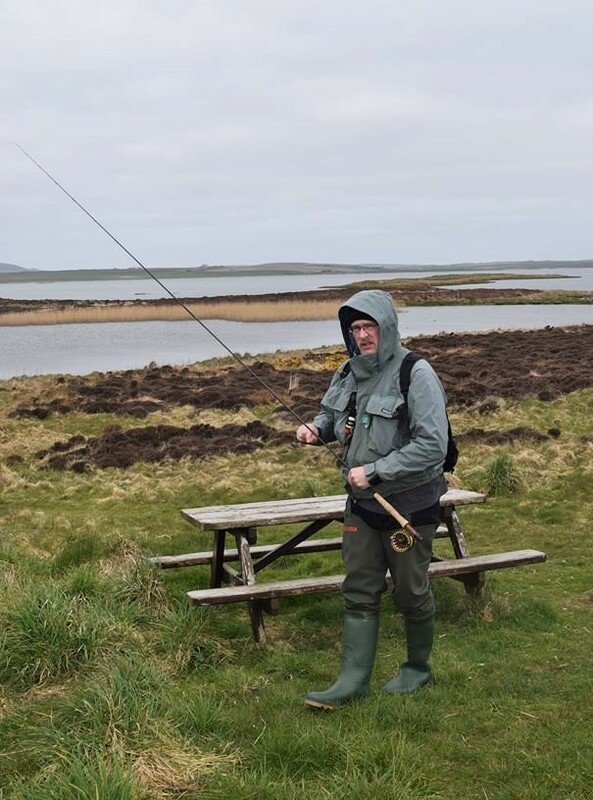 The fellow anglers in Stromness I asked about fishing Harry Loch proved to be top-shelf. The gentleman in Sinclair’s tackle shop patiently endured my odd questions, as names for different bits of gear and types of flies change across the Atlantic. (“What’s a ‘buzzer’?” “That’s not what we call a ‘lure’!”). Tom’s friend Puck kindly lent me his waders and tackle, and took time out of his day to meet with me and explain his style of rigging: a 15’ leader, point fly, and two dropper flies. That spun me out a bit, since I rarely use a leader longer than 10.’ In my reckoning, a long leader plus three flies equals heaps of tangles and a corresponding string of expletives. As any fly fisherman can tell you, an intimate relationship exists between his art and the art of swearing. Izaak Walton’s advice, in the Compleat Angler (1653), that anglers “be patient and forbear swearing, lest they be heard and catch no fish,” is bootless. It matters not if you’re a monk who’s achieved Enlightenment or you’re the second son of Mary mild; if you fly fish you are going to swear. On some days, you exhaust the lexicon of conventional curse words and start inventing your own. On my home waters, heavy vegetative canopy can make casting a work of misery, so even when roll casting you often hook the dreaded “tree trout,” and the swearing begins. But in Orkney it’s the wind that’ll set you off. I think it must always be the wind. Out on Harray Loch it’s not merely “a bit blowy;” it’s more like, “Holy sh*t, it’s windy out here!” You realize that you’d better learn to use the wind to your advantage, because there’s no way you’re going to cast into its teeth. There’s also the distance. On the small creeks and rivers close to my house it’s accuracy and stealth that count, so I rarely need to cast more than thirty or forty feet, which means I almost never employ a “double hauling” casting technique that enables you to shoot the line over a greater distance. But on Harray Loch I often could see troot dimpling the surface and teasing me beyond my usual casting range (ah, the siren’s song of rising fish! ), which meant trying to rouse dormant muscle memory and recall my less-than-stellar double-hauling technique. I was hoping no one on the shoreline was watching me make a hash of it. Don't worry, Jon. Nobody was watching. Considering everything that was new to me, I had pretty good luck that day on Harray Loch: six lovely trout (two of them over 15”). Not great by local standards, but I was happy, and the lesser angels of my nature indulged in a bit of schadenfreude upon observing a couple of nearby fisherman who weren’t doing as well. As I was leaving the water, a local was making his way down to the water’s edge. “How’s your joy?” he asked. But, deep inside, I was pleased. 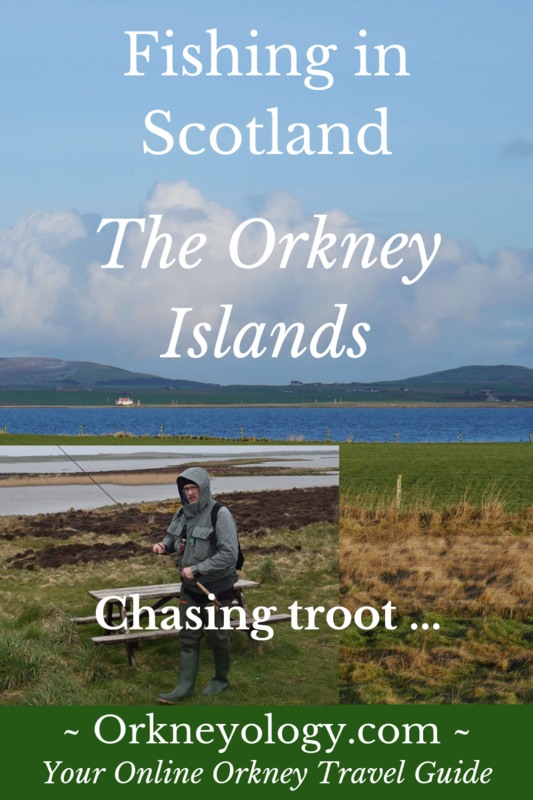 Chasing troot is only part of the Orkney experience, and -- I can’t believe I’m saying this -- not the most important bit of the rich tapestry of these islands. For an introduction to that, Miriam and I enjoyed the lovely hospitality of not only Tom and Rhonda, but also of Andrew and Sigrid and Bryce, and other locals whose names I’ve forgotten but who made our visit so enjoyable. 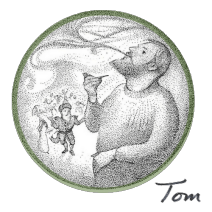 Now more than a passing word needs to be said about Tom and Rhonda. 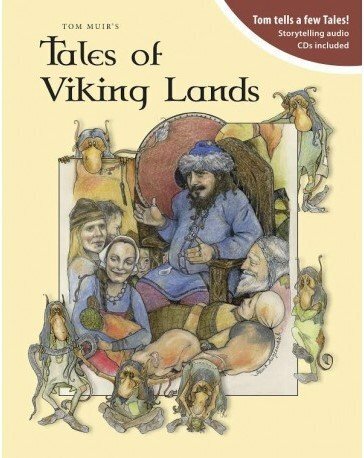 As only a master storyteller could, Tom invited us to explore the history of the islands, from Neolithic settlements to Viking ruins to Orkney’s importance during the World Wars. He opened his extensive library to us and introduced us to the legacy of the extraordinary Arctic explorer John Rae, through Rae’s descendant Alice Jane Hamilton (in Orkney for her book launch). 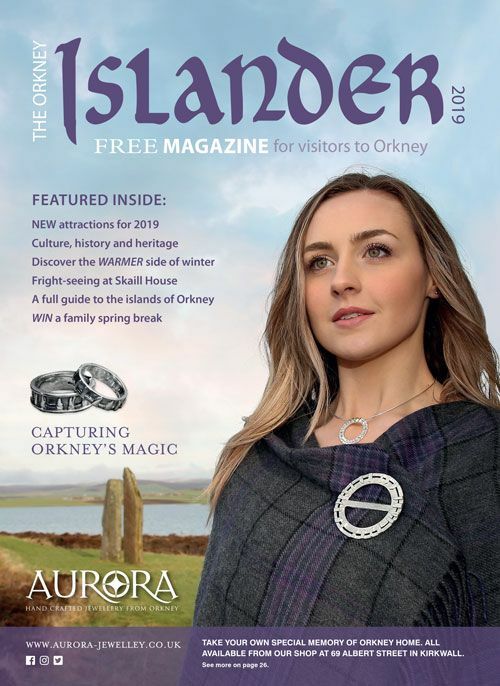 Find out more about Orkney's John Rae here. I’ve rubbed shoulders with academics and ‘experts’ my entire adult life, and can say from long experience that heaps of them are insufferable posers. If you know Tom, you know that he’s the real deal who can, by turns, regale you with endless tales of Orkney’s Viking past and then crack you up silly with stories about the locals. And as for Rhonda, what can you say? She’s the model of graciousness, warmth, and creativity. She possesses the rare gift of making you feel welcome in her home straightaway, and Miriam and I are deeply grateful for her kindness. 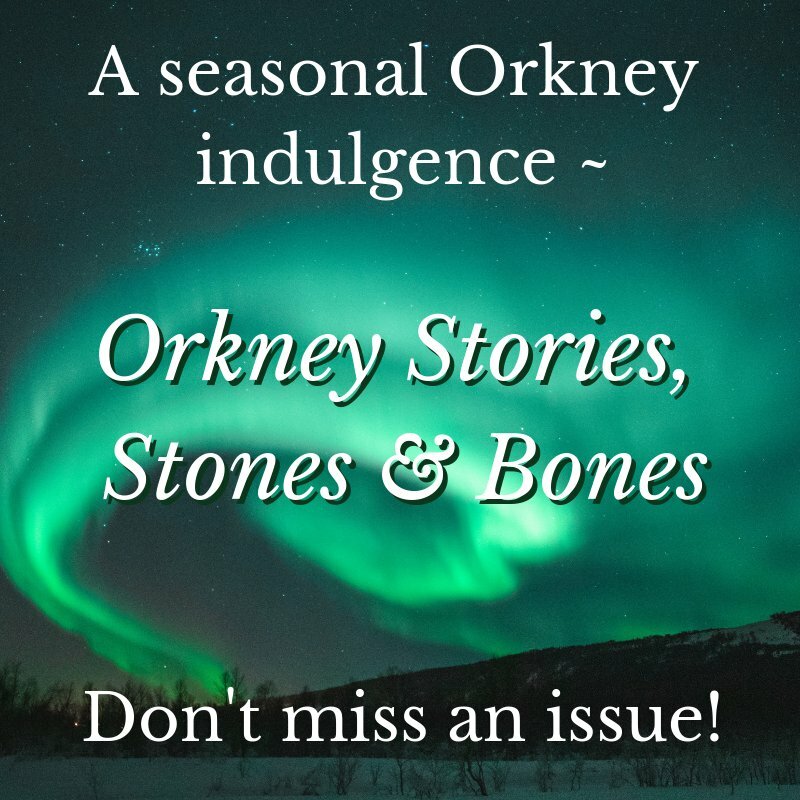 We plan to return to Orkney next year. It’s no longer just “over there somewhere.” We have friends on those rocks, and fond memories. This time, I’m bringing my own tackle and intend to spend more than one day chasing troot (negotiations in our house are continuing apace). In the meantime, I’m getting out on bigger water, braving the wind, and practicing my double hauling. To the troot on Harray Loch I say: tease me next May at your peril. 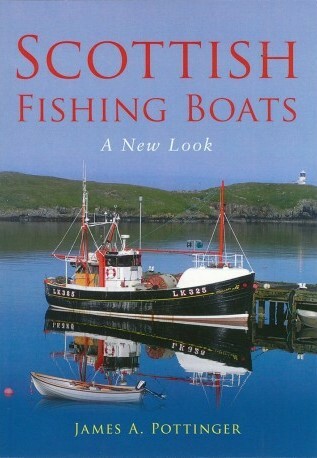 If you go fishing in Orkney, be warned - creatures lurk in the deep that are the stuff of nightmares. You would not want to have one of these dangling at the end of your fishing line. 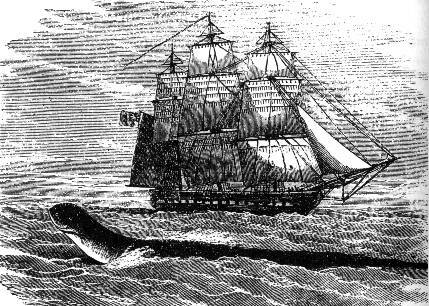 On the night of the 25th September 1808 there was storm so wild that it tore the largest of unknown sea creatures from its watery grave and flung it onto the rocks in Stronsay. It was said that the huge sea monster measured 55 feet long (6.8m), minus the end of the tail, which was missing. It was measured by three people - a carpenter and two farmers. The creature was decomposing when it was found, so must have been dead before it was washed ashore. The Natural History Society, based in Edinburgh, couldn't identify the 'Stronsay Beast', as it became known, but gave it the scientific name of Halsydrus pontoppidani - Pontoppidan's sea-snake, named after Erik Pontoppidan who had written a book on sea serpents around fifty years earlier. The monster was later written off as a decaying basking shark, which is quite likely as it had a cartilage frame rather than a bony skeleton. The measurements taken at the time were said to be too large, but you'd think a carpenter should be able to use a tape measure. The men who saw and measured the creature traveled to Kirkwall and swore on oath at the court that they were telling the truth. As the beast was long and seemed to have six legs it has periodically drawn the attention of scientists over the decades, especially entomologists. If it did have six legs then it must be the largest insect ever known. 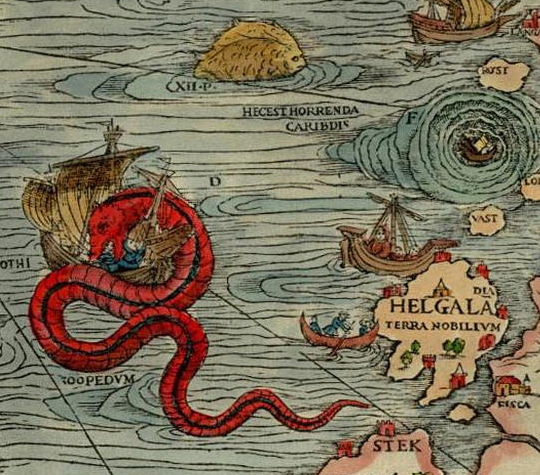 Stronsay was not alone in having a sea serpent. 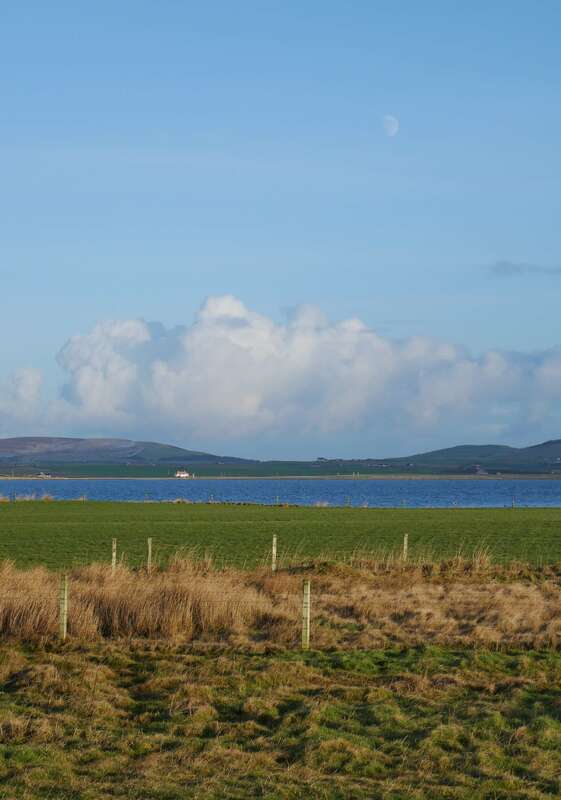 A sea monster rose from the waters of Scapa Flow in 1830 and frightened a boy sitting on the shore at Orphir. Alec Groundwater remembered that it was a lovely day with a calm sea. 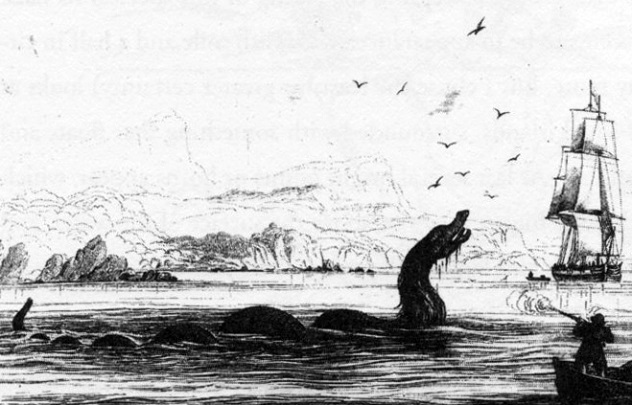 Suddenly the sea began to boil and a huge sea serpent raised its head high above the water. It had a broad head and a wide mouth with large teeth, or tusks. A mane resembling a horse's ran down its back and its eyes were cold and baleful looking. 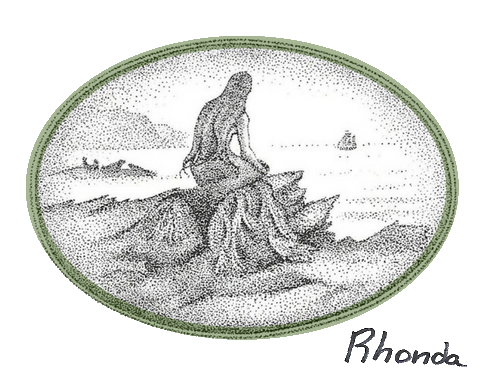 The creature rose out of the water and tried to catch the boy's feet in its mouth, where they dangled over the cliff. The boy was too frightened to move. After the monster tried a few times to grab him it gave up and swam away. On another occasion, a baby sea monster was seen washed up in Scapa Flow during World War II, on the coast of Holm in the East Mainland. 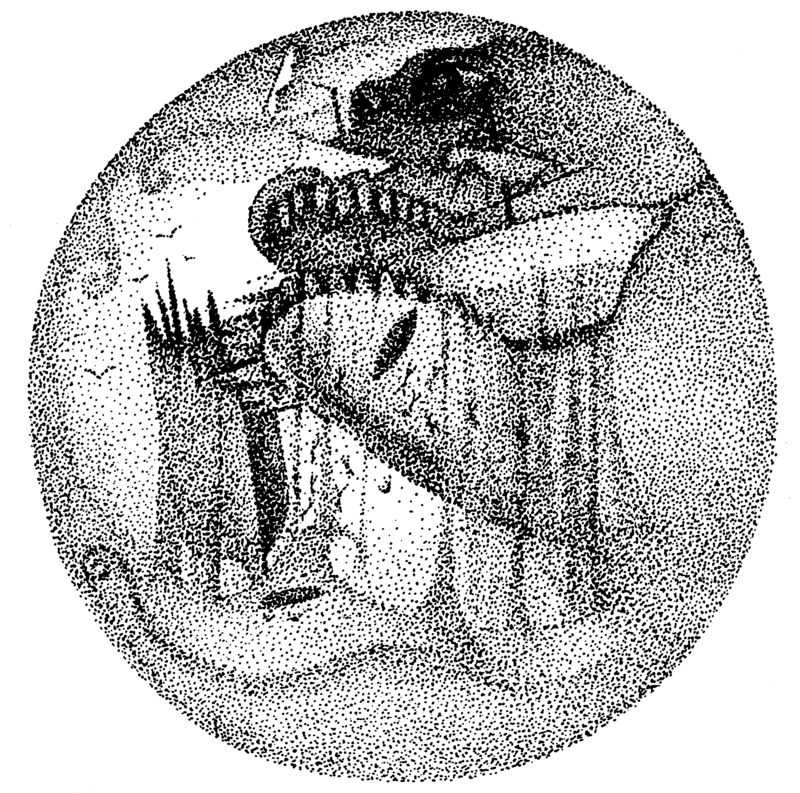 A photograph in the forces’ newspaper, The Orkney Blast, shows a decomposing creature with a long neck, small head and large eye socket. The 'neck', though, turned out to be of solid construction and without individual vertebrae, and the 'eye' looked suspiciously like a ball and socket joint. A local natural historian was fooled, but again the creature was identified as a basking shark, quite likely killed by depth charges detonated in the Flow. 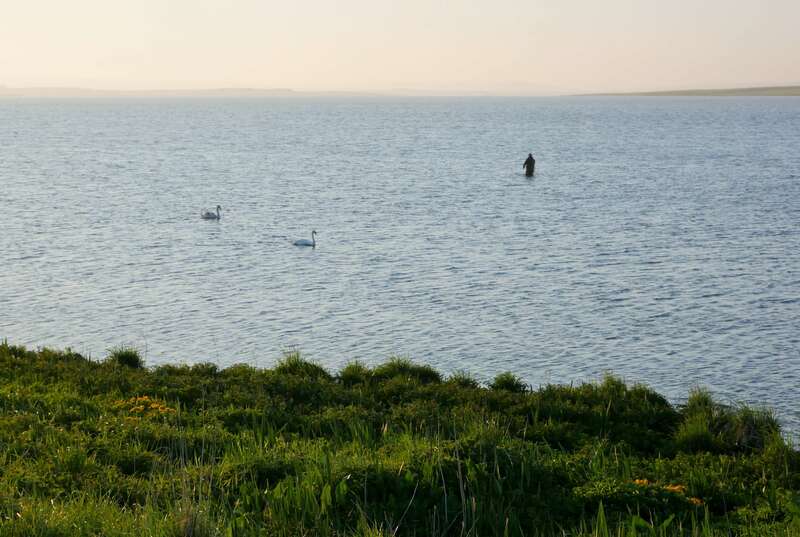 In August 1910 three men had a terrifying encounter with a sea monster between the Head of Work and the Head of Holland, to the north-east of Kirkwall. The men were in their boat, shooting ducks, when they saw 20-30 whales swimming at speed, heading east. The whales were jumping from the water and seemed to be frightened by something. Then they saw it - a sea serpent rising out of the water, and it was looking at them. They reached for their guns but slowly headed for shallower water. "[It was] about 18 feet straight up, with a head like a horse, a slender neck and it gradually tapered down to the sea surface. There was no body to be seen, no humps at all, but just this giraffe-like neck and head. It was a dark brown colour and appeared to have stripes running down its neck." After watching them for around five minutes the creature slipped down under the water. They never saw it again. 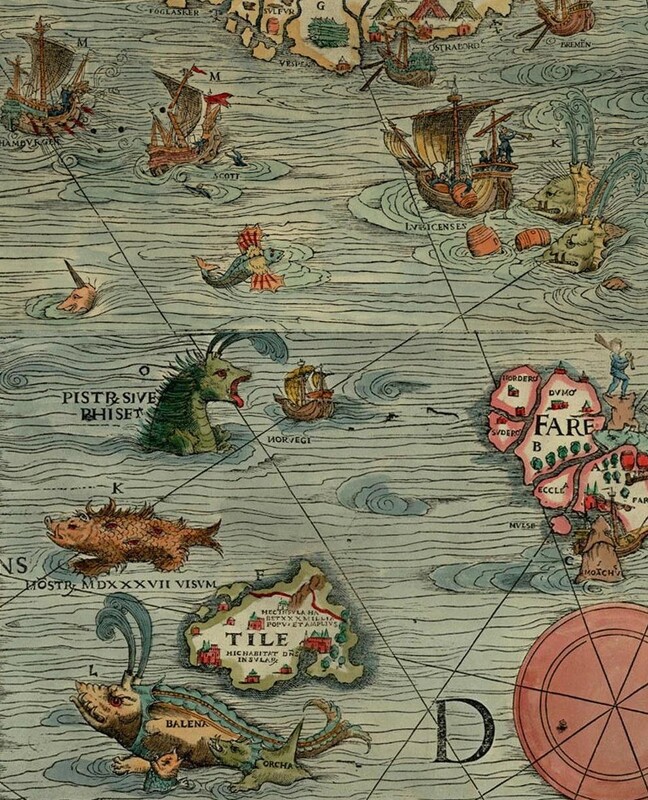 So, what can we make of all these stories of sea monsters? I don't know. Just remember, when you’re in Orkney you’re standing on the teeth of the largest sea monster of them all - the Stoor Worm. 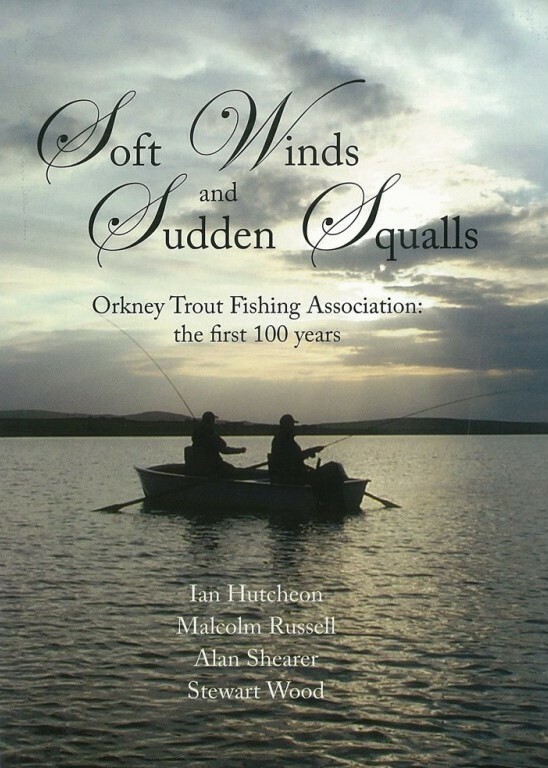 Order the books below from our local Orcadian Bookshop by clicking the cover. 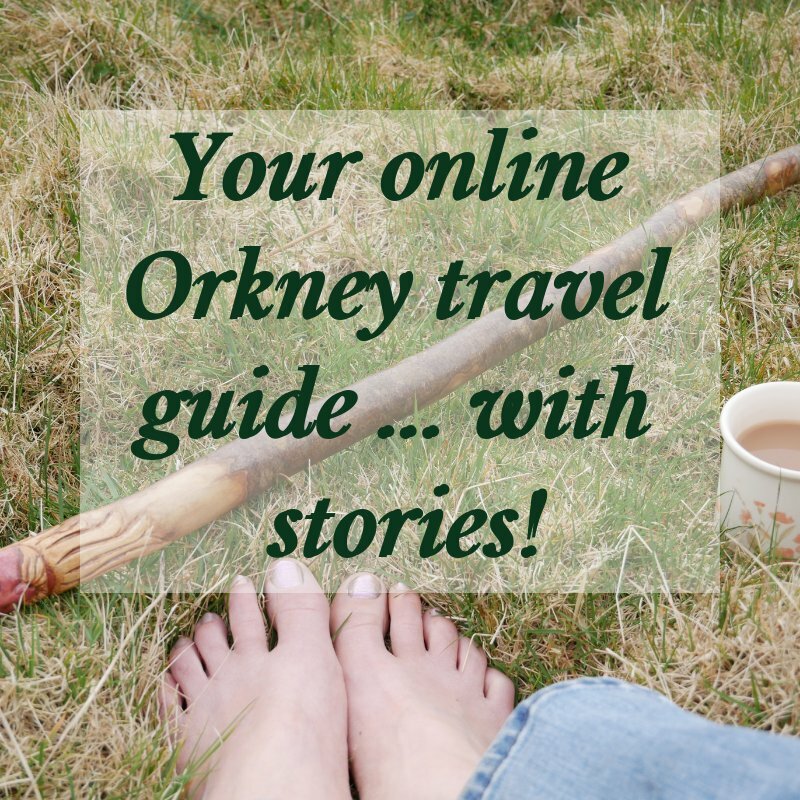 Tell YOUR stories about fishing in Orkney! 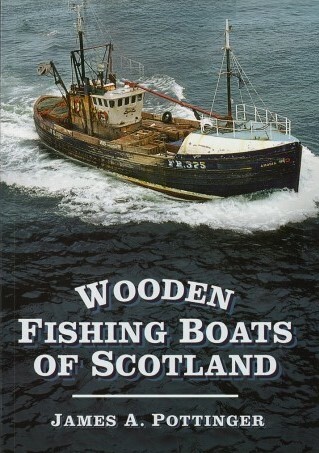 Have A Great Story About Orkney Fishing? 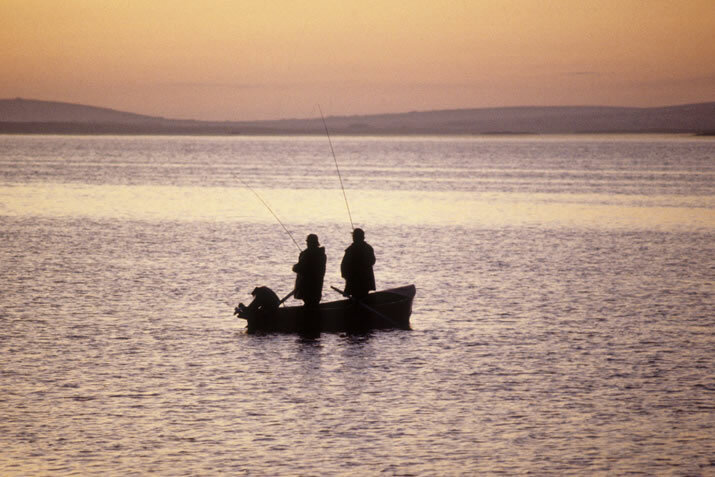 Do you have a story to share about fishing in Orkney? Insider tips? 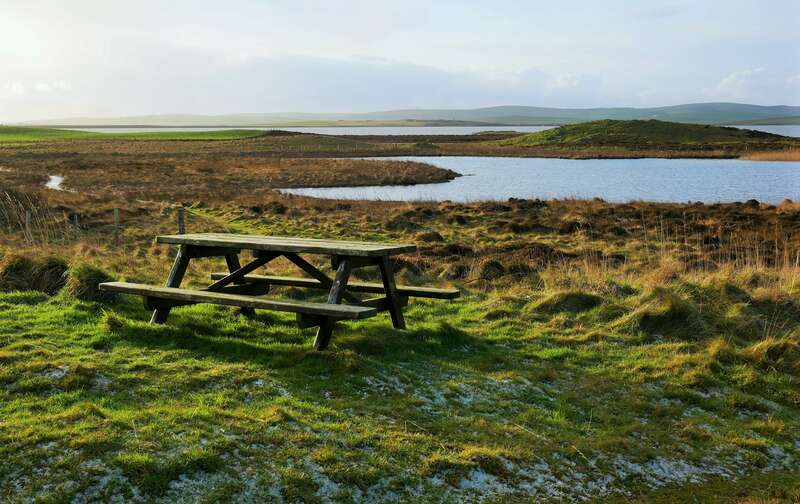 Are you a ghillie, a local fishing enthusiast, an enthusiastic visitor? 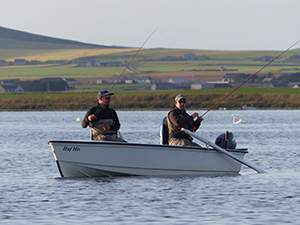 Share your fishing in Orkney tips and stories here! 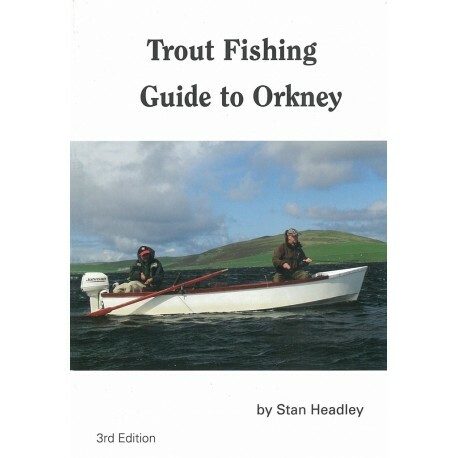 Entering your fishing in Orkney story is easy. Just type! You can wrap a word in square brackets to make it appear bold. 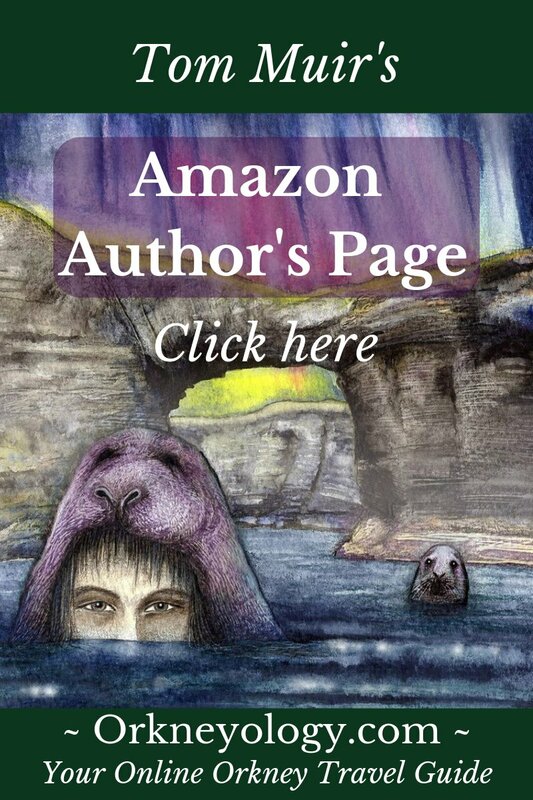 For example my story would show as my story on the Web page containing your story. After approval, your story will appear on a Web page. If you have a related website, blog or local business, I'd love to link to it on your page. This form won't allow you to send the link, so be sure to set your notification options when prompted to allow me to email you. Then I can contact you for the link, and I'll add it manually. Simply tell your story in your own way. Try for at least 200 words, please, but more than that would be lovely. 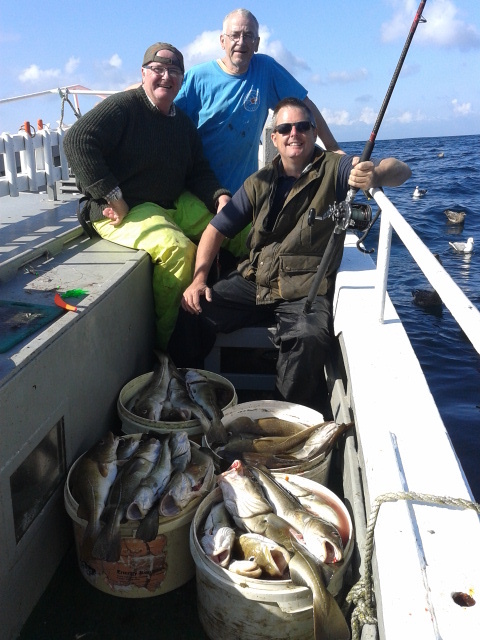 Do you have fishing in Orkney photos to add? Click the button and find the first photo on your computer. Select your photo, then click on the button to choose it. Important Note: The maximum (.jpg) image size accepted in this program is 800x600. If your photo is larger, please resize it using your graphics software or a Web-based resizer, such as Picmonkey. You'll find free photo resizers available online.